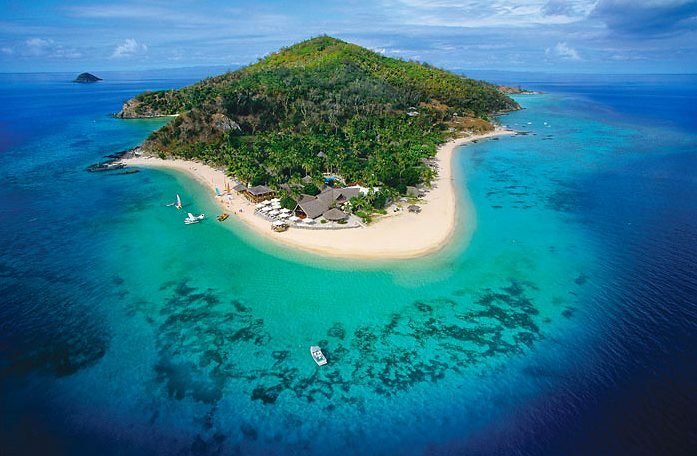 Castaway Island, Fiji is an award-winning private island escape embodying the heart and soul of the South Pacific. The island's 174 acres are covered in rich tropical rainforest, surrounded by white sand beaches, vibrant coral reefs and azure waters. Even though getting to Castaway from Fiji's mainland is just a short trip by either seaplane, helicopter or boat, when you're on the shores of our tropical island escape you feel a million miles away. Photo copyright Castaway Island Fiji. Virtual tour copyright Castaway Island Fiji. Video copyright Castaway Island, Fiji. Castaway Island, Fiji is an iconic private island resort surrounded by white sand beaches and vibrant coral reefs, perfect for romantic couples with or without children. Offering exceptional facilities and creative island cuisine, Castaway is one of Fiji's most popular island resorts, exemplifying the warmth and genuine hospitality of her Fijian family of staff. Castaway Island, Fiji features traditionally thatched air-conditioned bures with vaulted "tapa" lined ceilings that are both stylish and spacious, and carries an accredited AAA 4 Star rating. There are plenty of activities to choose from: snorkeling off the beach, catamarans, kayaks, windsurfers, parasailing, handline fishing, speedboat champagne island hops, dolphin safaris and more. Or explore over 30 outstanding recreational dive sites within 20 minutes of the resort with Castaway Diving, our onsite PADI Five Star Gold Palm facility. Castaway is everyone's place and pace. Pros: Terrific staff; great Kids Club with fun things for the children to do when the adults want to go diving, etc. Great proximity to plenty of super dive sites on the Malolo Barrier Reef. Plenty of tasty choices in the restaurant--there's "kid food" available, but adults can enjoy something more interesting and adventurous. Totally reasonable prices in the bar, too. Bures are comfortable and nicely located on the beach, far enough apart for quiet and privacy. Cons: While it would be fine as a honeymoon resort as well, there will be kids around at times.